Oil Sistem was part of the Oil Control Group which was subsequently bought by Bosch Rexroth years later to form the Bosch Rexroth Oil Control Group of which Oil Sistem is a division. 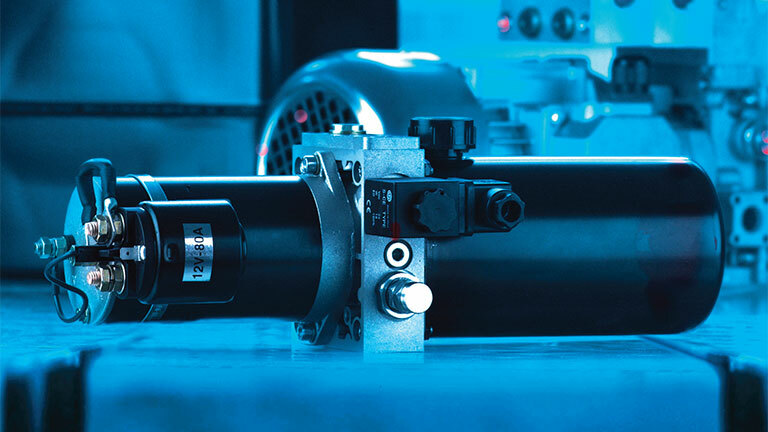 Oil Sistem, the power module’s division in Bosch Rexroth Oil Control, is a leader in production of hydraulic compact power units and offers a wide range of solutions suitable for every type of application. Oil Sistem developed in years of experience a high evoluted modular system that became powerful, flexible and economically competitive. This catalogue is intended to be an almost complete reference for the available power modules types. In its easier configuration a power module is an assembly of electric motor, pump, central manifold with valves, oil tank and few other connection elements. You will notice that a large variety of driving circuits would be realizable with only the central manifold and its built-in valves. If more complex circuits are needed, modular blocks will be mounted on the central manifold to extend its capabilities. Although no longer a separate company, many people still identify Oil Sistem parts and products. Delta Hydraulics can serve your needs if you are looking for replacement parts or repair.